By Sophie Russell . Published on October 04, 2016. Donald Trump invites former U.K. Independence Party leader Nigel Farage to speak during a campaign rally at the Mississippi Coliseum in August. In the past few years, countries across the world have experienced a rapid rise in support for political outsiders. The phenomenon includes those on the left, like Labour leader Jeremy Corbyn in the U.K. and former Venezualan president Hugo Chavez, and those on the right, including Donald Trump in the U.S., National Front president Marine Le Pen and Nigel Farage, the former Independence Party leader in the U.K. who campaigned for Brexit, or Britain's exit from the European Union. And it's not all Twitter hype and news website click-bait: The average share of the vote for populist parties in elections has more than doubled globally since the 1960s, to around 13.2% from around 5.1%. With significant crossover between the worlds of marketing and politics -- at a simplistic level, both appeal to their target audiences with what they hope to be distinctive positioning and compelling messages -- this rapid growth provides plenty of learnings for marketeers. Below we outline four of the best. Traditional parties have to appeal to everyone, from taxpayers to pensioners to single moms. Fearful of angering any group, they resort to making small, inoffensive tweaks to policy, dressed up as big change, and then wonder why voters are disillusioned. Challengers write the perfect David vs. Goliath story, creating an enemy of the establishment and sparking a passionate counter-movement that fights for real change. The freedom to actually stand for or against something, and not worry about appealing to everyone, is the root of the challengers' strength. The challenger mentality is a popular topic in marketing, but often it is easier discussed than put into practice. Established brands don't want to risk alienating any of their existing customers or risk a backlash. In this sense, they are the same as established political parties. But brands that do manage to adopt this approach disproportionately succeed. Think of Mac's hiring of Caitlyn Jenner or any of Paddy Power's tongue in cheek campaigns. Instead of delivering logical, balanced and informed assessments, challenger politicians prefer to talk of beliefs and dreams. 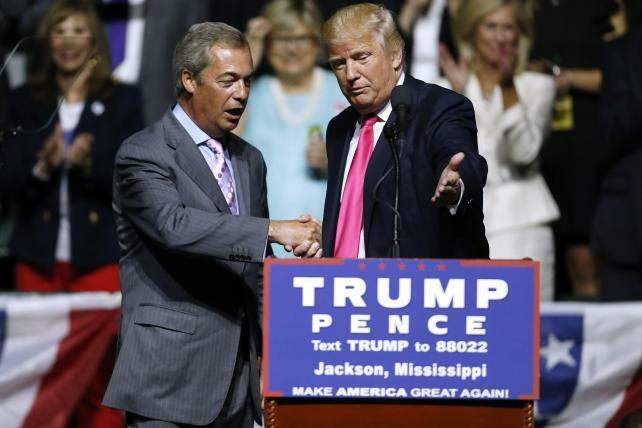 Both Donald Trump's presidential bid and the Leave campaign, which advocated for Brexit, have been criticized for their lack of a clear plan. But this hasn't prevented either from being a surprise success. Both target emotions such as fear, anger and nostalgia, illustrated in Mr. Trump's promise as he declared his candidacy in June 2015: "Sadly the American Dream is dead. ... But if I get elected president, I will bring it back, bigger and better than ever." By appealing to emotions, they cleverly sidestep rational decision-making, whereby we analyze all of the pros and cons and compare these to the competition. Both campaigns ask people to believe in a better future, not work out the best way of getting there. Marketers are well-versed in the benefits of emotional advertising over rational advertising -- to reduce price-sensitivity and increase memorability and brand preference. But in reality, many briefs are still born from rational product benefits, rather than missions and beliefs. This then drives how the industry tests creative. We ask our audiences to analyse the ad in depth, asking them to think logically about persuasiveness, brand linkage and message delivery. But this doesn't reflect at all the reality of watching ad breaks, where at best we let ads sink into our emotionally driven subconscious. Simple likeability, or "neuromarketing" measures such as galvanic skin response or EEG are therefore much better indicators. Another issue with traditional parties and politicians is that they often get bogged down with complexity. They want to be seen as well-rounded experts, so they talk anything and everything, asking the media to film them everywhere they go, from farms to primary schools. But in doing so, they become "jack of all trades, master of none." No message in particular stands out, and it becomes wallpaper -- easy to forget. By comparison, outsiders stick with a few good topics, with impactful, front-page, winning messages. Think Mr. Trump's Mexico border wall or Brexit's £350 million for the National Health Service. These will be remembered long after the detailed promises of Hillary Clinton or the Remain camp. In marketing, we often make the same mistake. We all know that effective advertising relies on impact, communication and persuasion. But in the words of Dave Trott, the art director and author, "We don't run a basic checklist because we're too worried about heuristics, algorithms, programmatic, big data, mobile optimized, metrics and all the other complex training and technology." We forget that really all we need is a simple message that will be talked about, gain attention and be remembered. A key differentiator of politicians like Mr. Corbyn, Mr. Trump and Mr. Farage is their perceived "realness." While traditional politicians like former Labour leader Ed Milliband are mocked for not being able to even eat a sandwich in a normal way, Mr. Farage is pictured downing pints in the pub. (Mr. Trump's regular-guy image apparently enjoys a surplus of perceived authenticity; it has survived photos of him eating both pizza and KFC with a fork and knife). This gives them relate-ability and credibility. As a Facebook user commented about Mr. Corbyn sitting on the floor of a train: "He's one of us. That's what these privately educated career politicians don't get, because they are not real people. They don't have real experiences." This did however prompt Virgin Trains to release the CCTV footage of the train to the papers, arguing that there were in fact many free seats that Corbyn had rejected. The resulting debate became front page news, a warning that credibility comes with an expectation of honest and transparency, or else you risk an angry backlash. Generally, being seen as human allows politicians to be forgiven for their mistakes, because real people make mistakes too. A brand comparison is Tesco's recent Facebook exchange with a customer who had found a worm in his cucumber. Instead of auto-posting a sanitized apology and the contact details for the complaint department, Tesco composed a poem for the worm's funeral. The subsequent conversation went viral. With a bit of personality, Tesco managed to convert one potentially unhappy customer into thousands of people who now like Tesco a little bit more. Getting the approach right will always be a challenge for brands. Get "realness" or emotion wrong and risk coming across as desperate; take the challenger mentality too far and you risk cutting your customers in half. But if there is one truth brands can learn from the rise of the outsider, it's that sticking rigidly to your comfort zone simply won't cut it. You'll be left behind while others change the rules of the game. 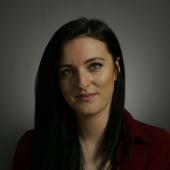 Sophie Russell is a senior planner based at Brave in London, where she is lead planner on a range of clients including John Frieda, FeelUnique, Battersea Power Station and Coral.